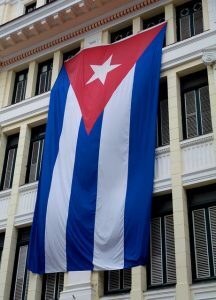 Cuba (MNN) – Cuba is in the process of ending a 60-year reign by the Castro family. On Monday we learned that Raul Castro, who’s been serving as president since 2008, is stepping down from the position. The nation is undergoing a five-month transition to make sure the next president elect is ready to go when that happens. Steve Shantz of Trans World Radio says that since Raul took over for his older brother, Fidel, the nation has been suspended in a sort of transition already. “There’s been a lot of questions as to what’s going to happen politically, what’s going to happen with the government, what’s going to happen with the Church in Cuba,” he says. The current serving Castro is 86 years old. But this is not the end of his political career. In fact, in some minds, he might be ramping it up to the next level. 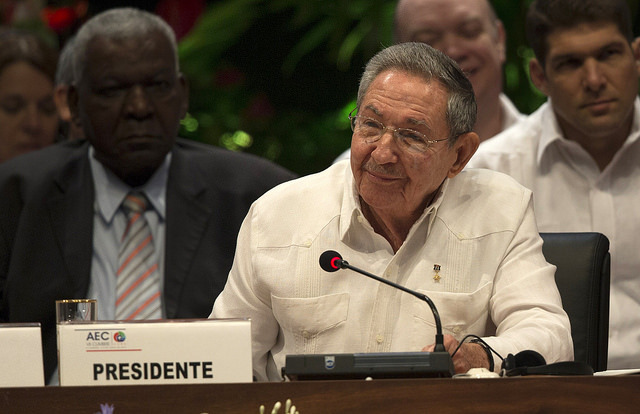 Raul Castro will remain the head of the Communist Party. This means he will retain his influence, and maybe even increase it. Over the next few months, people will begin voting on representatives on local and national levels. At the end of the five months, the voting will end with the election of the next president. However, this isn’t exactly a normal election, Shantz says. That’s because in the end, unless something drastic happens, it will be one party vying for the position—the Communist Party. “There’s going to be some dissidents and some opposition groups who will try and run for power, but they will probably not get too far because the Communist Party will dominate,” Shantz says. And the individual expected to win is current First Vice President, Miguel Diaz-Canel. Because of the Communist Party’s strength, the election is seen, by many, as a pointless exercise. And while the future of Cuba and the government’s policy is technically up in the air, it doesn’t really seem that freedom will grow. “Miguel Diaz-Canel has been heard to say some pretty hard-lined things against [dissidence] and against opposition groups. So, he may be a hardliner,” Shantz says. According to the Associated Press, Diaz-Canel promotes the silencing of independent media as well as a crackdown on entrepreneurs and those in the opposition party trying to gain political influence. But underneath the concern about the nation as a whole is a concern for those who are so often the targets of persecution under communism. These questions, Shantz says, should fuel our prayers. He says we can be praying that the Church in Cuba would continue to flourish, be strong, and that evangelical believers would be looked upon with favor by authorities. Trans World Radio is supporting believers in Cuba through their radio programs broadcasted from the Island of Bonaire. The current signal is 100,000 watts strong and covers the entire country. They recently installed a new antennae system that focuses more energy on the country for improved reception. But soon, they’ll be updating the signal to 450,000 watts. “[To] a lot of people, that doesn’t mean anything. It’s just—that’s a lot of power. In fact, it’s going to be the strongest radio station in the western hemisphere and every evening we’re focusing our signal on Cuba,” Shantz says. Praise God for this ministry which so many Cuban believers rely upon for spiritual growth and discipleship. If you’d like to support TWR’s ministry financially, click here. Pray for the Church to continue to grow in Cuba no matter what. Consider supporting TWR so they can keep improving signals and reaching more people.